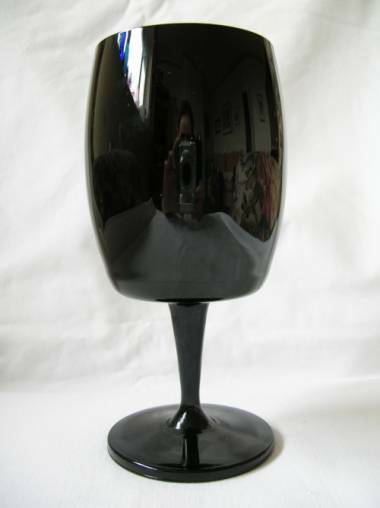 I remember reading on here once or twice that there's not really such a thing as black glass - just very dark colours which appear black until you shine a light behind them. However, I recently bought a piece of 'Sort Palet' (Black Palette) by Michael Bang, and the colour does seem to be truly solidly black. 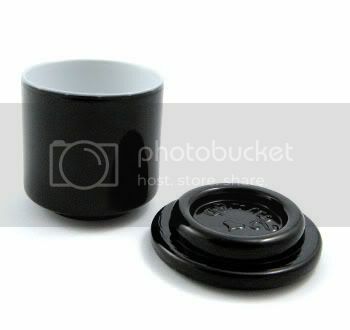 The walls are only a few mm thick, and the inside is pure white, but the cased exterior remains a jet black - and it doesn't let any light through either (it's a mustard pot, and I slipped it over a 100w bulb for a few seconds - complete black-out). The lid is uncased, but equally impenetrable. Will there have been a special process to have made the colour super-dense? 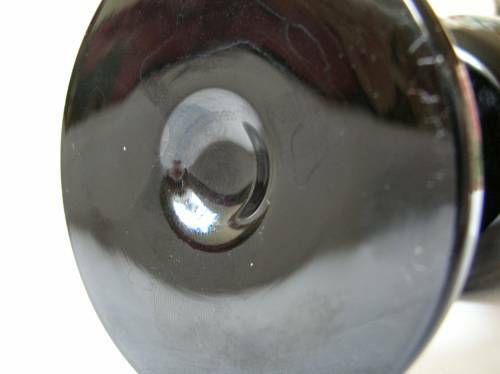 There IS such a thing as black glass. It is called Hyalith and was first formulated ca. 1820 by Count Bucquoy in Bohemia. I do not know where the wisdom comes from that fully opaque black does not happen. It does and was used extensively by e.g. Leerdam in the thirties, also for pressed items. Thanks, Ivo, for clarifying that! Makes lots of sense. Appears completely opaque when held up to even the brightest sunlight, and ordinary bulbs have no effect. However, when I covered my small halogen spot with the glass I could see the bulb through the glass and the element in the bulb was red. Does this give enough clues for anybody to be able to tell me anything more about this piece? I have to say I think the shape of it is awesome.